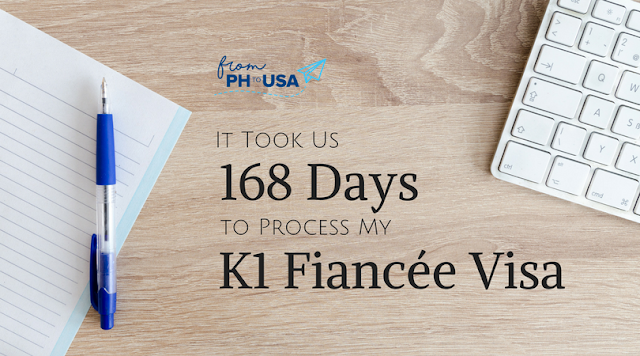 Processing my K1 visa was the most tedious government process I've done so far. I didn't know anyone who went to the US on a K1 visa and getting someone to take care of processing my papers for me would cost minimally at $600. I knew I didn't want to spend that much and I felt like we could get everything done in the same timeframe that these agencies who claim to make the processing time shorter. We targeted my flight to be in the latter part of August 2017. So, we did the research on our own, had big roadblocks along the way, but pushed through anyway. For Filipino-American couples that want to be together in the USA, here's my personal journey with my husband to help you get an overview of the time it takes to get everything set. Don't worry. There will be more entries to come as to how much we spent, and information we found out for ourselves which we never found on the internet. I hope this will help you plan your own journey. Good luck! PS: I'd love to know in the comment section below. When do you plan to start processing a K1 visa? If you've already done it, how long did it take you? Wow we are 5 days apart, ours is 173 days total :-) now waiting for biometrics schedule for AOS. That one is a helpful summary for future K1 visa filers. So true po, me and fiance are one of October filers from year 2017 and so far we not yet have our NOA2.